After some bigger renovation works in Jan/Feb, ausland starts 2019’s live-music programme with a true double-bill of our dreams: Underground-rock pioneer Thalia Zedek from Boston/US, who was frontwoman, singer/guitarist and songwriter in bands such as ‘Live Skull’, ‘Uzi’ or, most prominently, ‘Come’ during the 80s and 90s, presents her new solo record ‘Fighting Season’ (out on Thrill Jockey, fall 2018) together with her band. In her solo work since the early 2000s, Zedek published some of the most thrilling and moving contemporary rock songs we’ve heard, and her live gigs embody elegiac passion & gripping pressure in one. As congenial encounter, Golden Diskó Ship aka Theresa Stroetges opens the night: Everything but a stranger in Berlin, Golden Diskó Ship also has a long relation with ausland and has surprised us album by album with her very own, inflammatory approach on how a one-woman orchestra can transcend clichés like ‘indie’ or ‘experimental’. Of howsoever different generations and musical socialisation, we’re assuming it must be pretty much the same resources Zedek & Stroetges draw from to turn song ideas into musical energy. THALIA ZEDEK is an unparalleled voice in rock music. Her music straddles the line between intimate and visceral. Zedek has received wide acclaim for her intense vocal performances and guitar playing in past projects Come, Uzi, Live Skull, and most recently her new trio ‘E’. Her new album ‘Fighting Season’ combines the grit of her past with the fragility of her solo releases, spinning tales of discord and struggle from the personal to the political and featuring performances by old friends Chris Brokaw and J. Mascis. Through her exceptional songwriting and performances, Thalia Zedek’s fervent passion can be felt more than ever on ‘Fighting Season’, from blustering swirls of dissonance to hushed whispers. The album was recorded throughout late 2017 and early 2018 at Kimchee Records Studio by Andy Hong, one of Zedek’s frequent collaborators. For both the recording and writing, Zedek took a more isolated approach than past albums, writing the material on her own and only presenting the songs to the full ensemble shortly before recording. This isolation leant itself towards crafting some of Zedek’s most direct, and emotive songs to date. 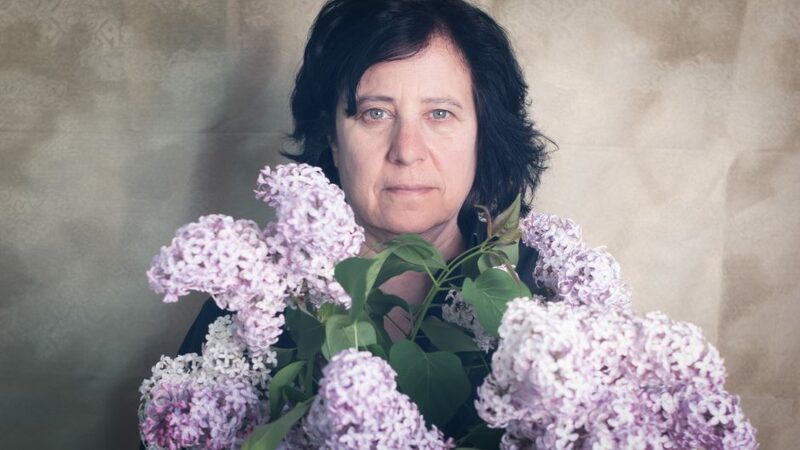 Thalia Zedek has been lauded for decades for her ability to create such immediate, urgent music and ‘Fighting Season’ finds Zedek at her sharpest, delivering potent yet raw songs that inspire hope in a time wrought with fear. GOLDEN DISKÓ SHIP is the solo project of Theresa Stroetges, a Berlin-based multi-instrumentalist and video artist who performs live as a one-girl orchestra. Her imaginative soundscapes, shifting from delicate melodic lines steeped in nostalgia to the feedback arcs and textured distortion of machine abuse, evoke lucid dreams and have won critical praise for their fresh, eclectic collages of electronic and acoustic sound. Golden Diskó Ship published records on Monika Enterprise, Klangbad and Spezial Material. Her latest album ‘Imaginary Boys’ came out on Karl Records in 2017.